Seems like T-Mobile is ready to expand horizons. Recently we witnessed the pricing related to T-Mobile Sidekick 4G and now the carrier has finally revealed pricing for the T-Mobile G-Slate by LG. Powered with Google’s Operating System specially designed to cater the tablet industry, widely known as Honeycomb, the tablet is unveiled with a price tag of $529.99, running on a two-year contract and after a $100 mail-in-rebate. 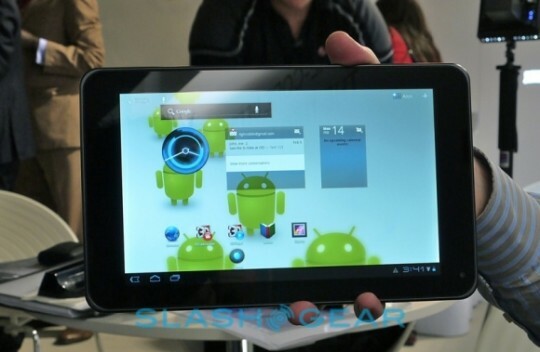 Features loaded on the G-Slate is what makes it different from other tablets. The tablet includes 4G support on T-Mobile’s HSPA + network while offering the ability to record and play back 3D video, obviously with the use of glasses and the stereoscopic camera on back. Furthermore, the tablet sports a 8.9-inch HD multi-touch screen, Nvidia Tegra 2 Dual-Core Procesor and 1080p video output via HDMI.